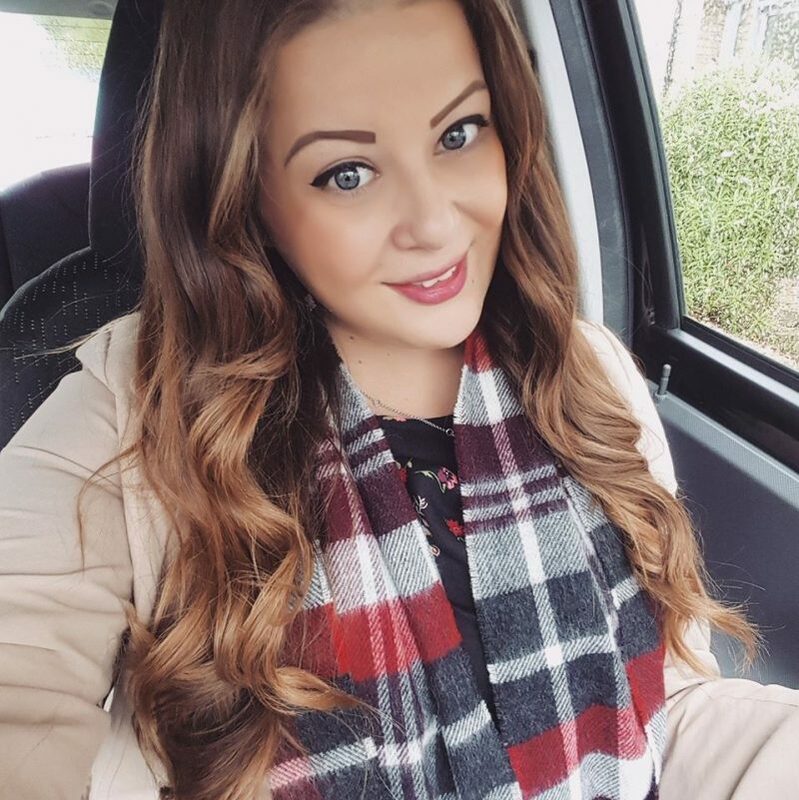 Back in March I took part in a blogger competition (see my entry here) to renovate a piece of furniture, and I was lucky enough to win first prize! 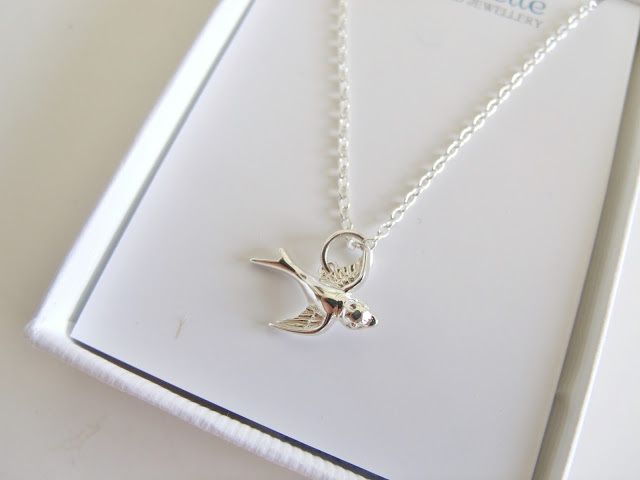 I was so so excited as the prize was a £300 NotOnTheHighStreet voucher and I love their website. 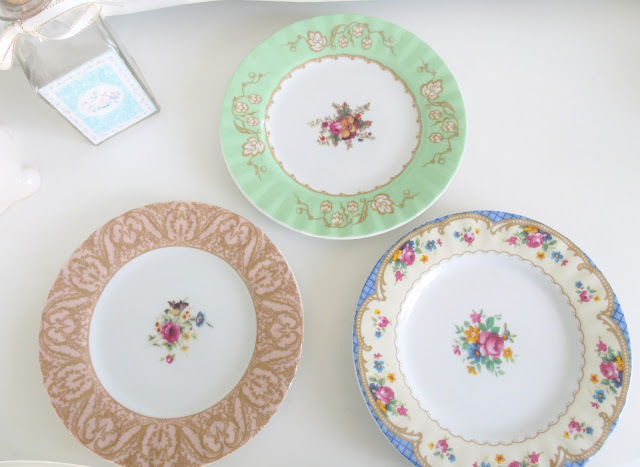 A few years ago I won the Regency cake stand and three teacups (see here) from another competition, received the cake tin set as a Christmas pressie in blogger campaign (here), and also have the matching milk jug (here). 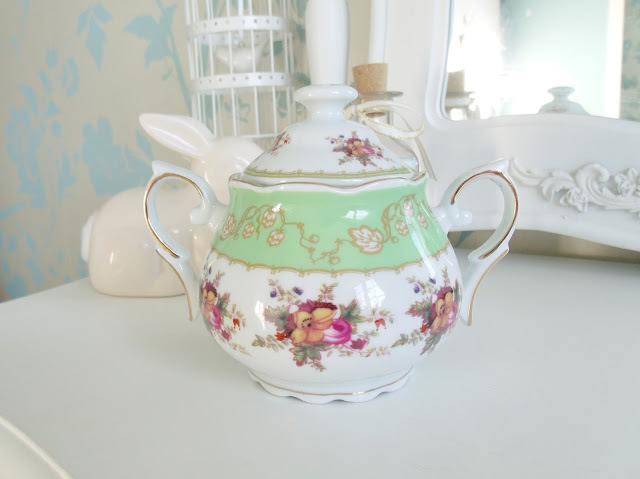 So I thought I would complete my tea set with the final pieces; three cake plates and a sugar bowl from the same set! So now I have the complete set except for a teapot (which I wouldn’t use) so I’m going to use it for my birthday tea party next month! Yippee! 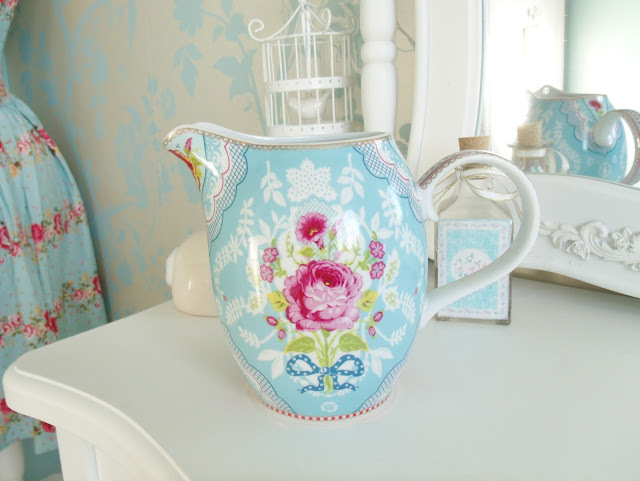 I love Pip Studio so I picked out this cute little jug which I thought would be lovely to put summer flowers in. I love the bold aqua colour and the pretty bright pink floral print. 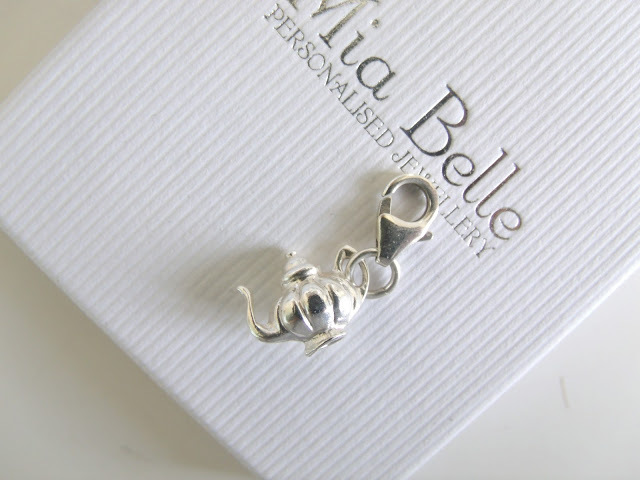 I also decided to treat myself to some gorgeous new jewellery pieces! I rarely buy myself new jewellery so I was really pleased that I got some new pretty bits. 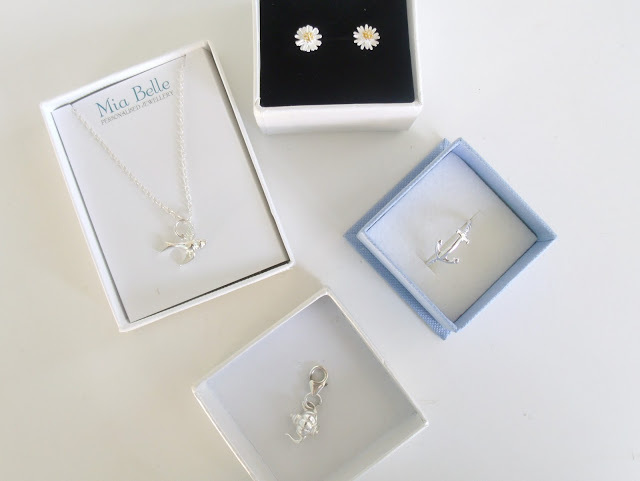 I prefer sterling silver jewellery and I picked out these beautiful pieces including an anchor ring, a dainty swallow pendant necklace, a teapot charm, and daisy flower stud earrings. I adore them all! 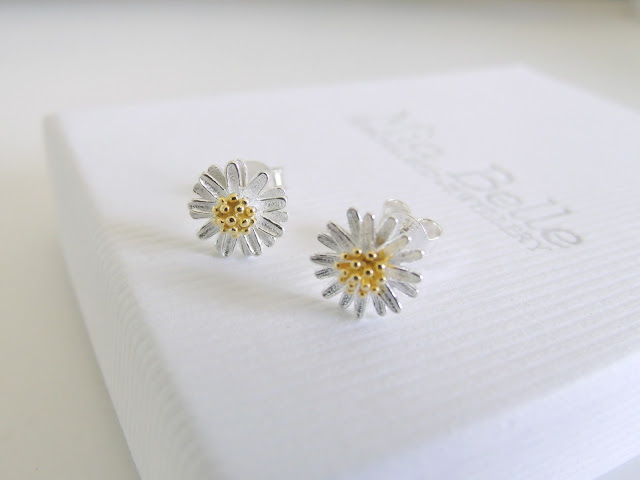 I also bought my Mum a couple of pairs of earrings with the voucher too. 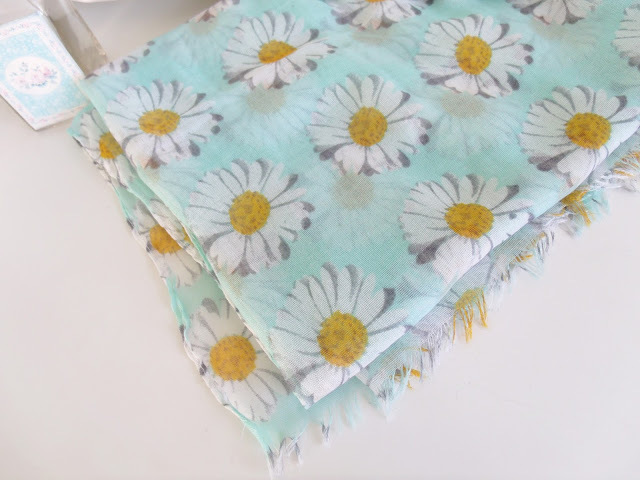 I chose this lightweight daisy print cotton scarf for myself, and I also picked a stunning bird print one which I gave to my Mum. 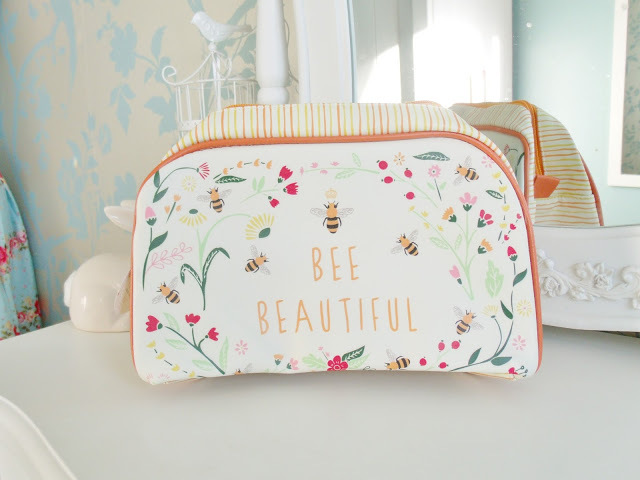 I couldn’t resist this cute Bee Beautiful washbag with the beautiful design on it. It also matches my little compact mirror! 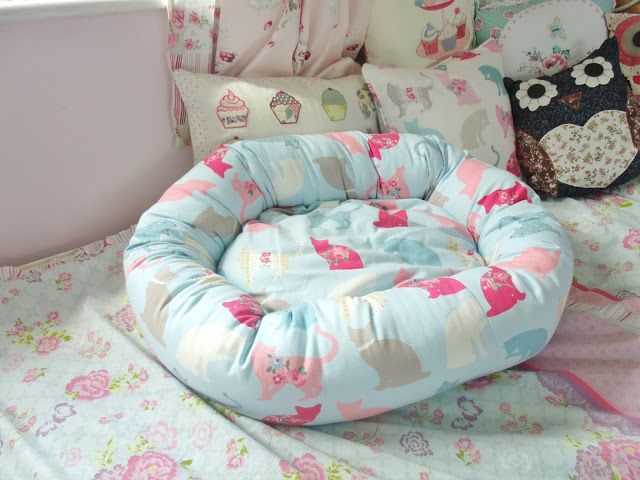 Merlin is spoiled, so the most expensive item from my order was this cute handmade cat print donut bed. It set me back £60 worth of the vouchers but luckily my little kitty loves his new bed! And it matches my bedroom decor and bedding too which is a bonus. 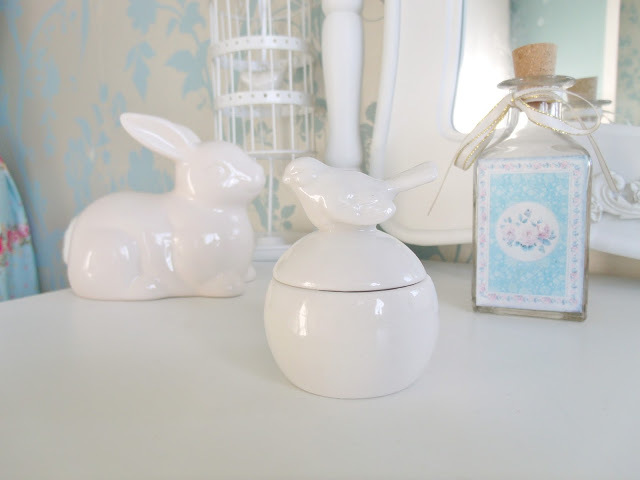 And finally, I picked this little white ceramic bird trinket box.. cute! Wow, everything you got is so pretty, I love the 'Bee Beautiful' washbag and the jewellery. Congrats on winning! 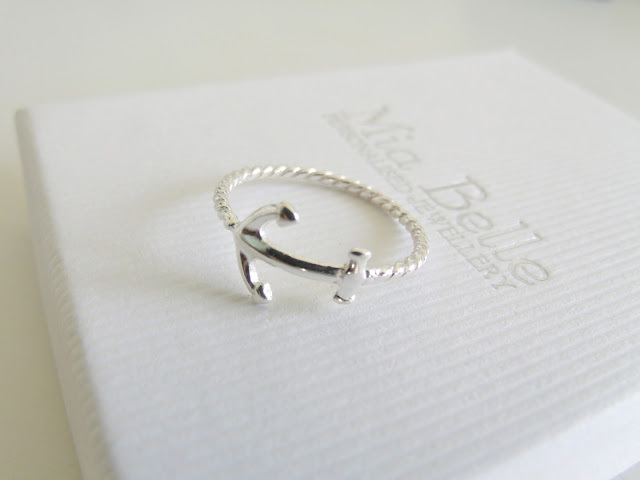 Wow you picked out some fab items, I love that Anchor ring, so perfect for summer.